"Work hard, play hard" is definitely my motto in life and even more so this summer. Music is such a beautiful thing, and it is even a much better feeling to draw inspiration from my favorite music. Seriously, pause for a moment and think about how our lives would have been without music. Wow, I actually paused and thought, and everything seemed so life-less and cold. But guess what loves? That is certainly not happening, we have music and it is here to stay! I grew up with music around literally everywhere. Caribbean folks love music like no other and it is undoubtably one of my favorite memories growing up in Jamaica; it is inevitably in my blood. One fond memory is commuting to high school on public transportation, and if a taxi did not have blazing music, my friends and I would not ride in that taxi. 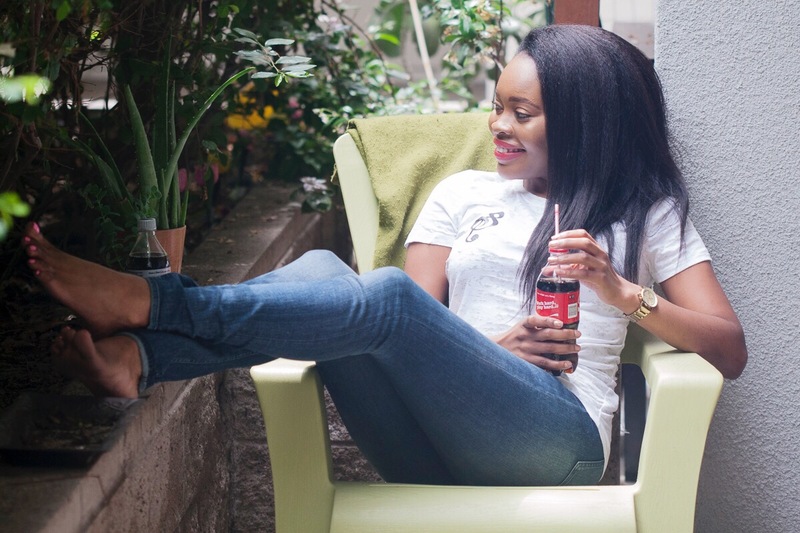 Summer is the perfect time for sharing a Coke and listening to cool tunes while making warm memories. 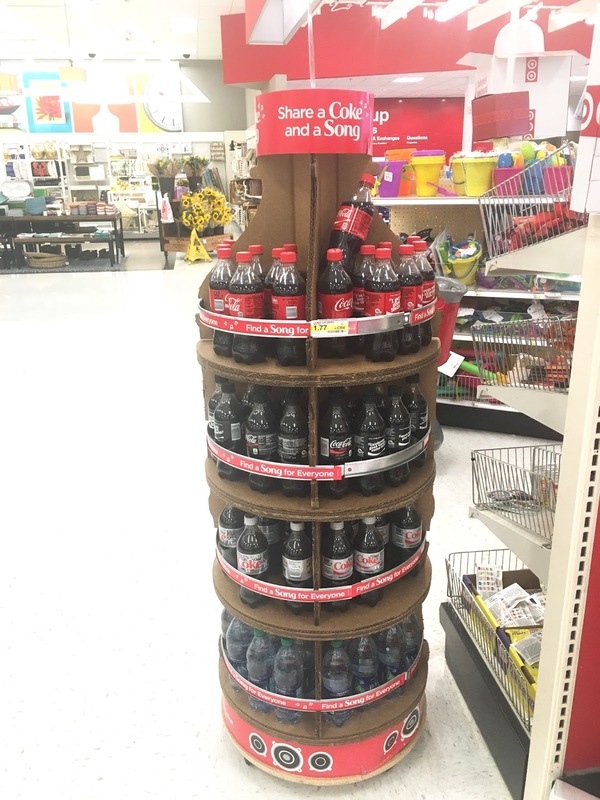 Right now at Target, you can purchase 20oz Coca-Cola bottles that feature over 70+ song lyrics that represent a moment, memory, mood or feeling waiting to connect you with friends and family. 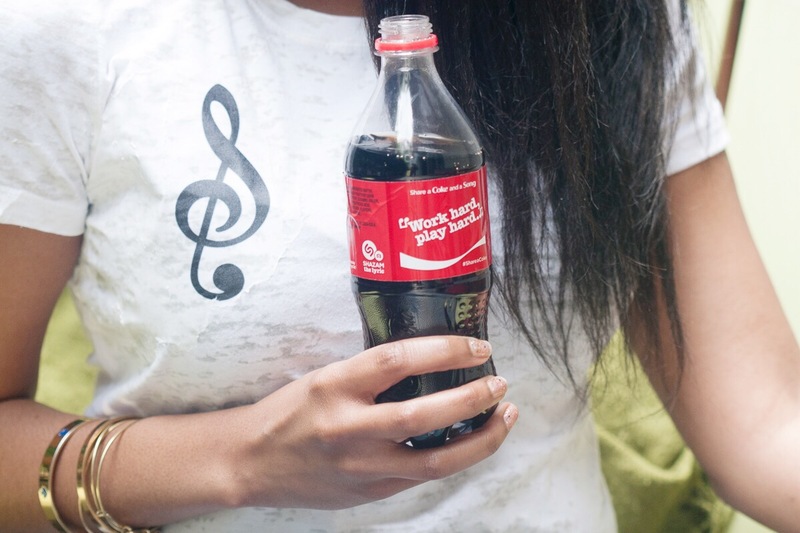 This summer, Target guests will also have the chance to get exclusive Music Artist Content and a 25% off Cartwheel offer when they share their love of Coca-Cola and music with @ShareMoreMusic and #ShareASong. Now how about that? 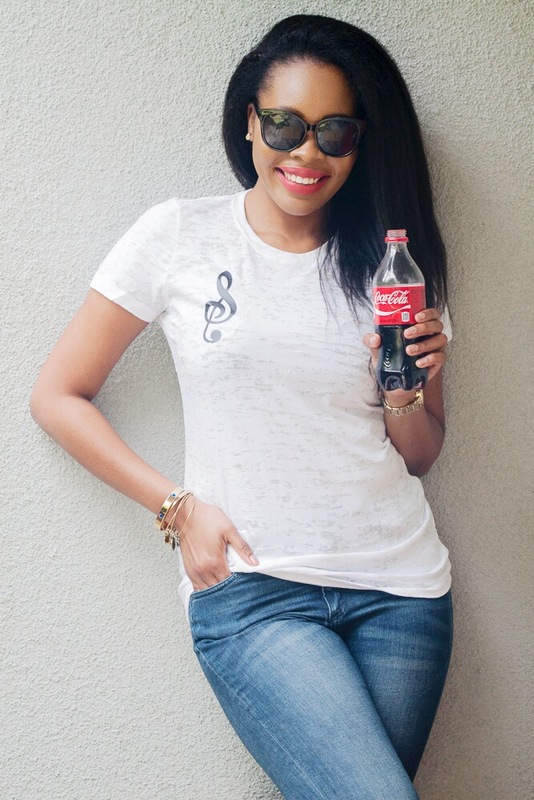 After picking up my Coca-Cola with 'Share A Song' labeling at my local Target I was so inspired that I decided I was going to satisfy my creative juices by re-vamping one of my old t-shirts that I can wear all summer. 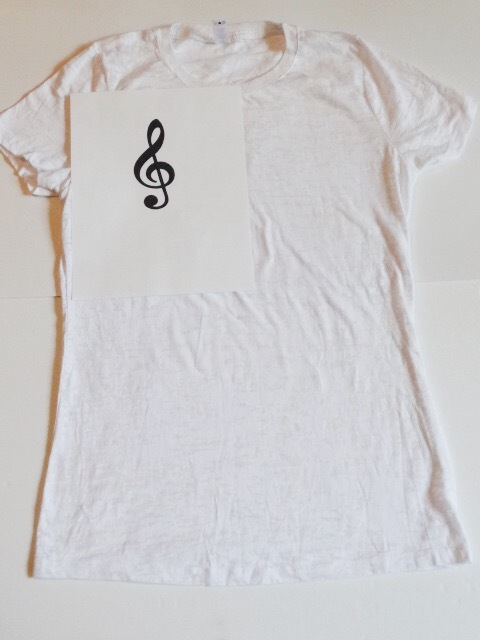 The music bug totally got me so I decided to add a flipped song note on my t-shirt. 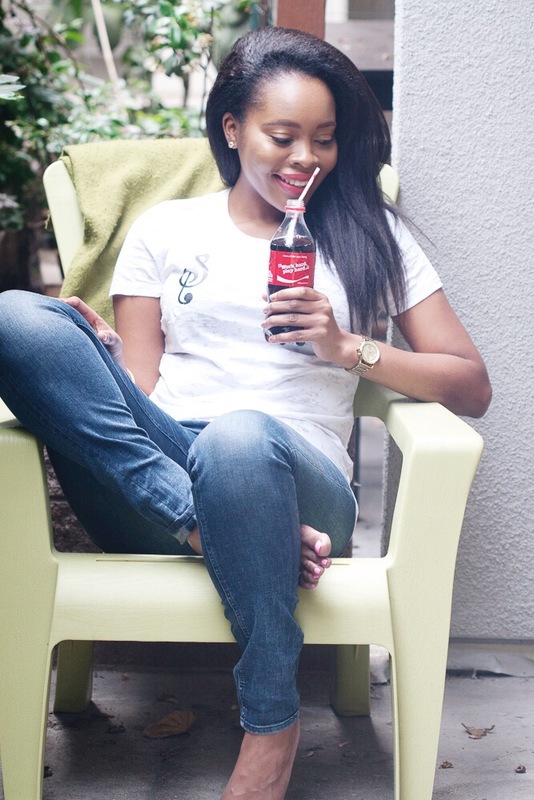 I always love seeing cute creative t-shirts and that's exactly what I went for with mine. My touch was to flip my song note backwards. 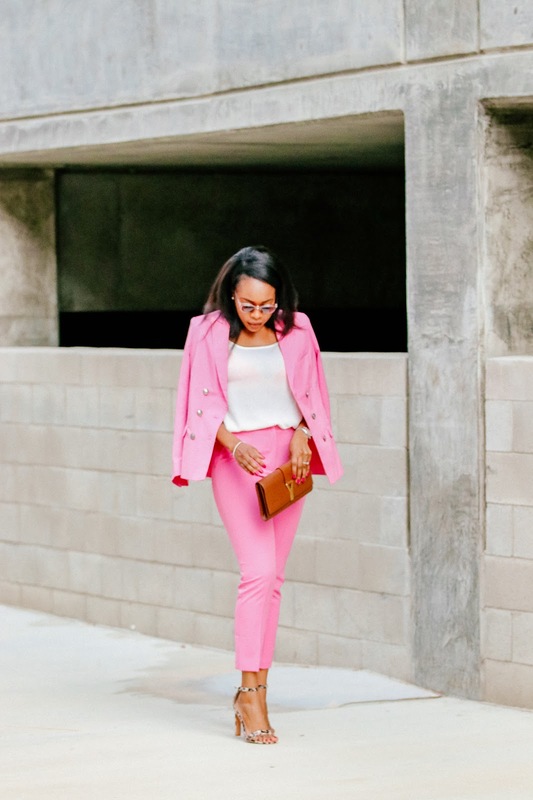 It's unique & cute. It was so easy I almost wanted to pull all of my other t-shirts out and re-vamped them. 1. Print whatever it is that inspired you- no limits, It could be art, quote, a name, a state etc. If you do not have a home printer, just go to your local printing shop but, bring your own transfer paper with you. Ask them to print whatever it is you want on your transfer paper and take it home. Make sure you flip the image or asked that it is flipped before printing. 2. 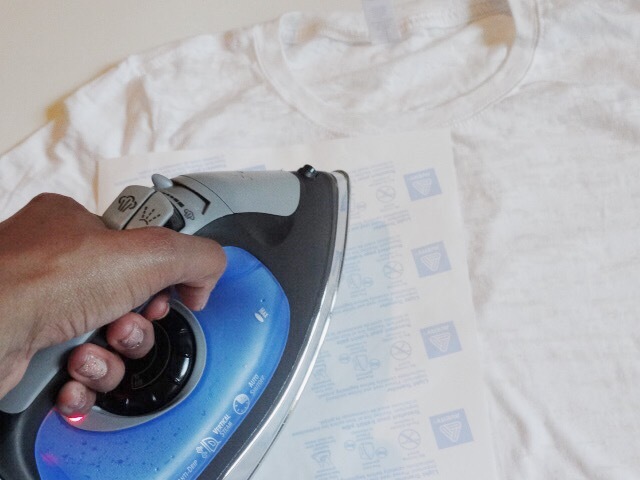 Lay your t-shirt on a flat and sturdy surface and iron to remove wrinkles. Position your graphic transfer paper in the location you want on your shirt. 3. Flip it over then iron the transfer paper making sure you press into the t-shirt, running iron vertically and horizontally at least 3 solid times. 4. Let it cool for 1 minute then peel off. 5. 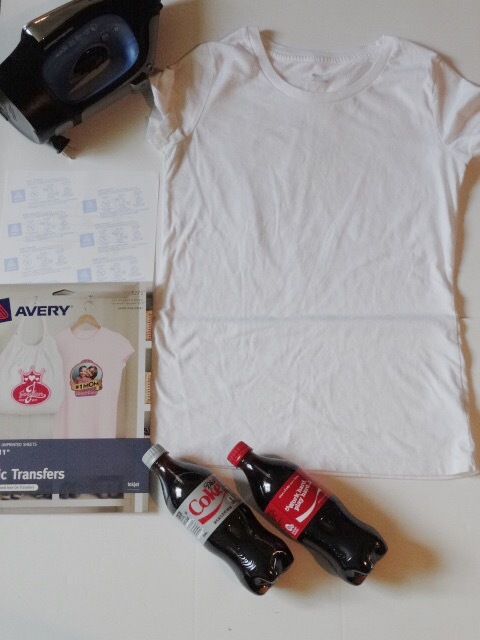 Reveal your beautiful DIY T-shirt. You can treat the t-shirt the same way you would if you had bought a graphic t-shirt from any store. Wash, iron, get it wet just the same. My guy joined in on the fun and got himself a bottle too. I'm telling you, it's contagious and just so fun. Once you're all done, wear your t-shirt with pride. I wore mine to hang with friends at home for an evening of card games. Loves, the Coca-Cola Share A Song bottles are super easy to find at Target, Just look for them on a display cart just like this near the front of the store (close to the cash registers). I spent quite a while reading and singing the lyrics on them, it was just too much fun. A few people even walked up and joined in on the action of singing the lyrics on the bottles. I have a little something in store for you too loves. 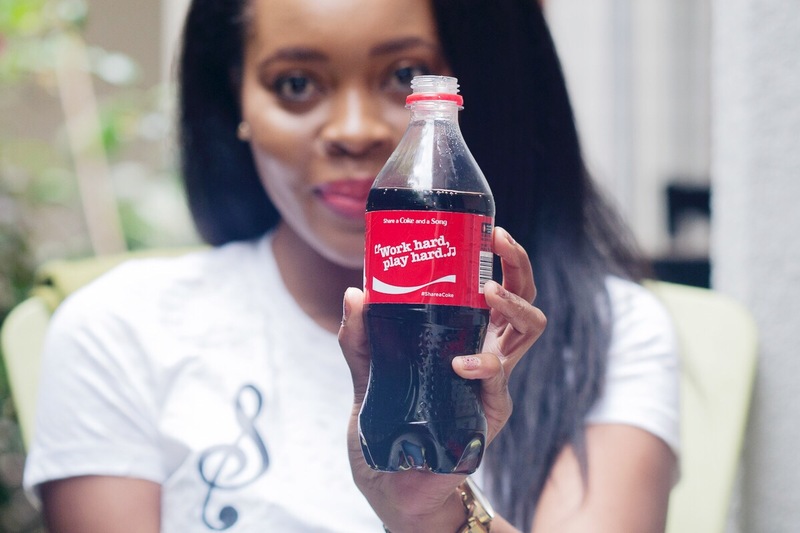 You can receive your exclusive music artist content and cartwheel offer by joining us for the Share a Coke and a Song Twitter party on May 24th, 2016 at 1-2PM EST where you’ll have an opportunity to unlock more surprises from Coca-Cola and Target! 1. 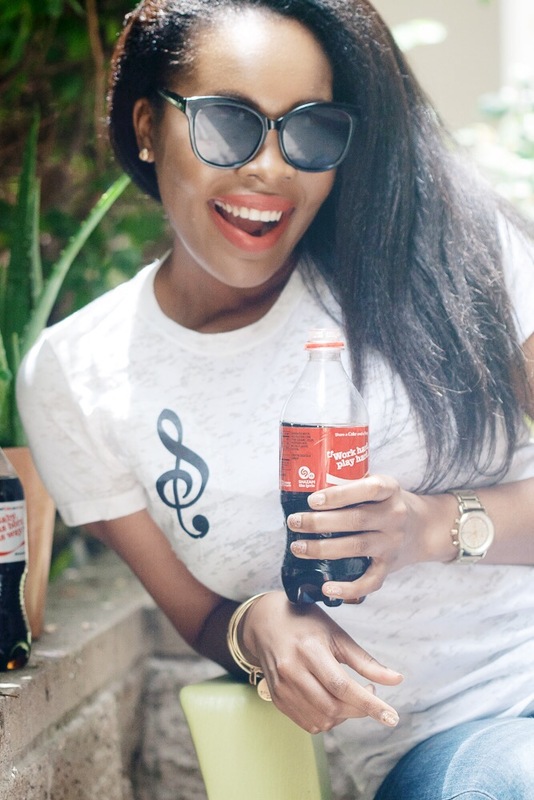 Tweet @ShareMoreMusic with your 20oz Coca-Cola lyric, followed with the campaign hashtag: #ShareASong. 2. @ShareMoreMusic will respond with a link to access exclusive Music Artist Content and a 25% hidden Cartwheel offer on Target.com. I've found my lyrics and now I hope you go and find yours too. If anything, it is such a fun and lightening experience and beautiful memory to connect to. Let me know if you've gotten yourself a bottle and what it inspired you to do or create. I'm really curious. So happy you liked it Nicole. Thanks! 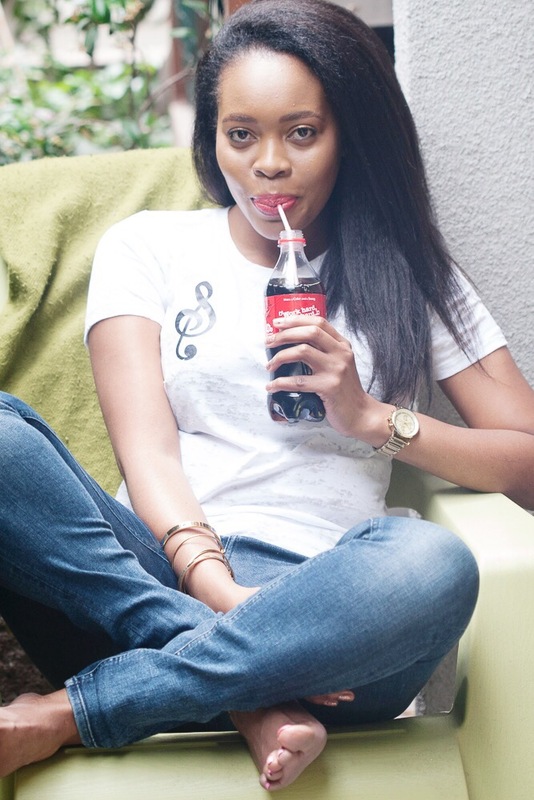 Coke and Kaysha make music happen. 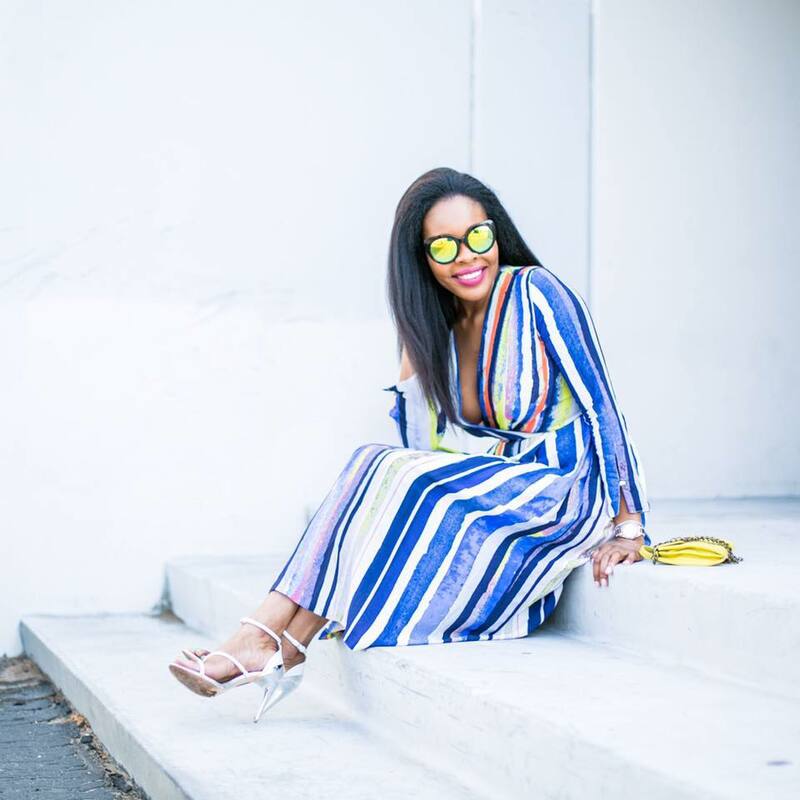 Bring on the Summer!